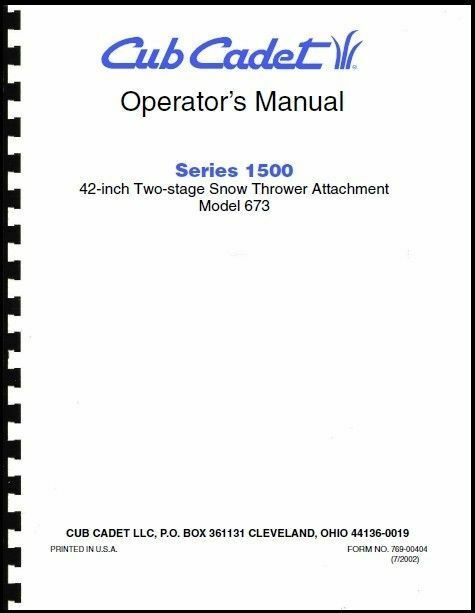 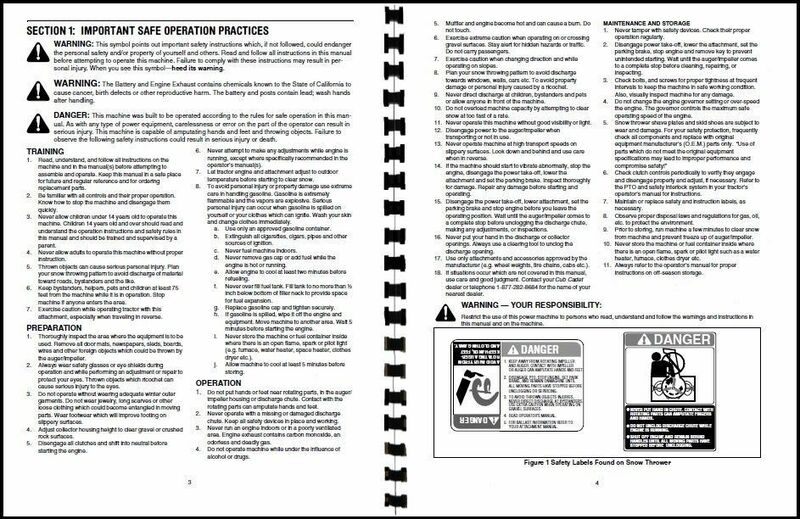 Cub Cadet 42-inch Snow Thrower Attachment Operators Manual For 1500 series Model No. 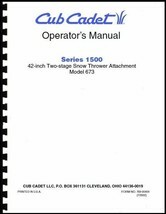 190-673-100 This Manual is a Reprint / Copy of the Original Manual Manual will have a coil binding on the left side and a clear plastic cover front and back Thanks for Looking ! !